1. 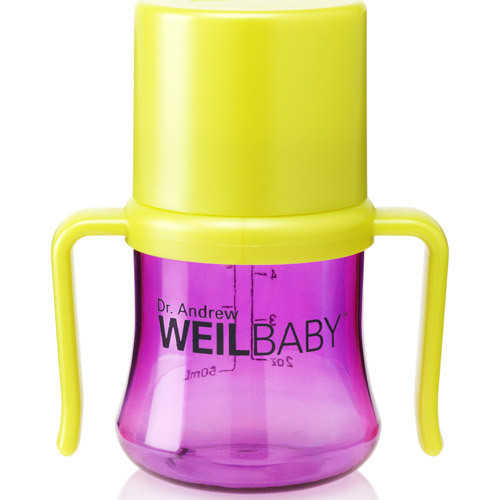 Weil Baby Training Cup $9.99 - Featuring Dr. Weils award winning BPA/EA free with AirWave™ technology, the design makes this cup nice to carry, the cap makes it sanitary. 2. Playtex My First Sipster $5.99 - Hands down, the most efficiently leak-free cup on the market, be it rolling around the back seat of the car, or neglected upside down at the bottom of my diaper bag! 3. 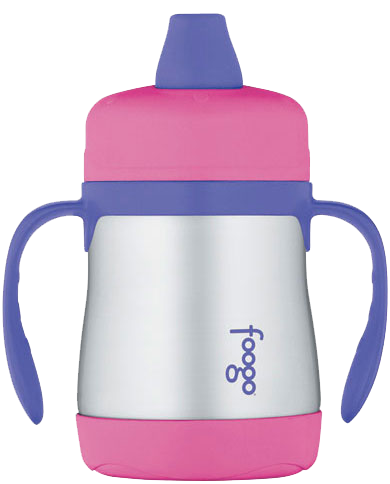 Thermos Foogo Sippy Cup $16.00 - Vacuum insulation makes this cup perfect for keeping milk cold, and keeping tea warm. 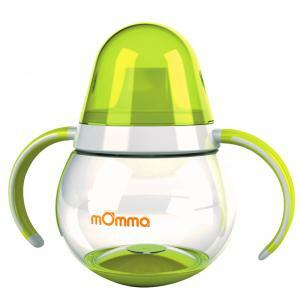 4. mOmma Sippy Cup $13.25 - This little digit is definitely the Maserati on the playground; it's wobbly nature means the spout remains upright even when chucked into the sandbox! Plus, all cups/caps/spouts are interchangeable making bottle to cup transition that much easier. 5. 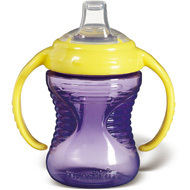 Boon Fluid Sippy Cup $5.99 - This one is surely more about the cup than the "sippy"; the spout leaks easily. And while it looks like some futuristic ergonomic design...it is actually quite difficult to grasp. 6. Munchkin Mighty Grip Training Cup $4.00 - The most frustrating "leak proof" cup out there!! This cups spout is so soft, than when you bend it slighty, it's contents pours out! Took soaking through a bed sheet, and finding puddles on my floor before I finally caught Freida in the "bending" act. Feel free to let me know if I missed any other great/awful sippy cups out there... Which cups work best for you and your brood?